"Amazing! 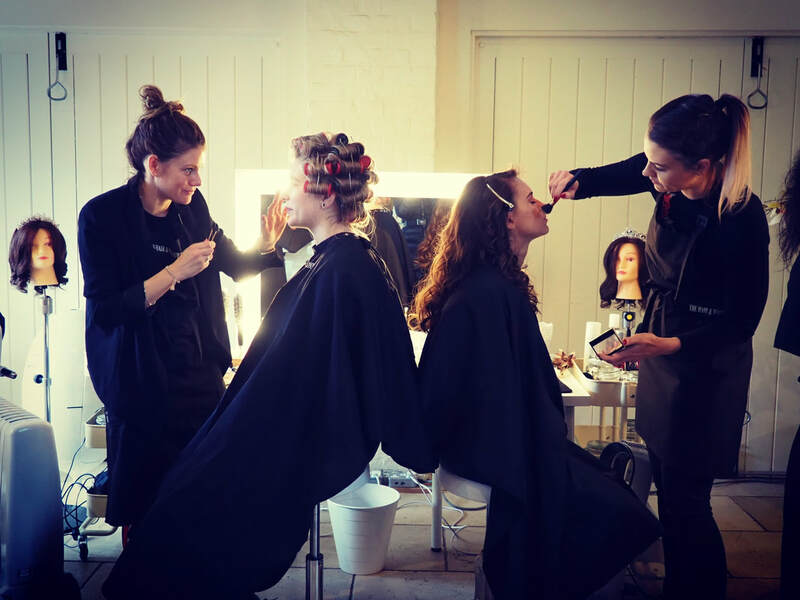 5*bridal hair and makeup Course." Holly is a fantastic teacher who has endless knowledge and patience. I can't believe how much we learnt in a week! I managed to build up my portfolio and came away with so much confidence to get my business up and running . The photoshoot on the last day was the icing on the cake and so much fun . 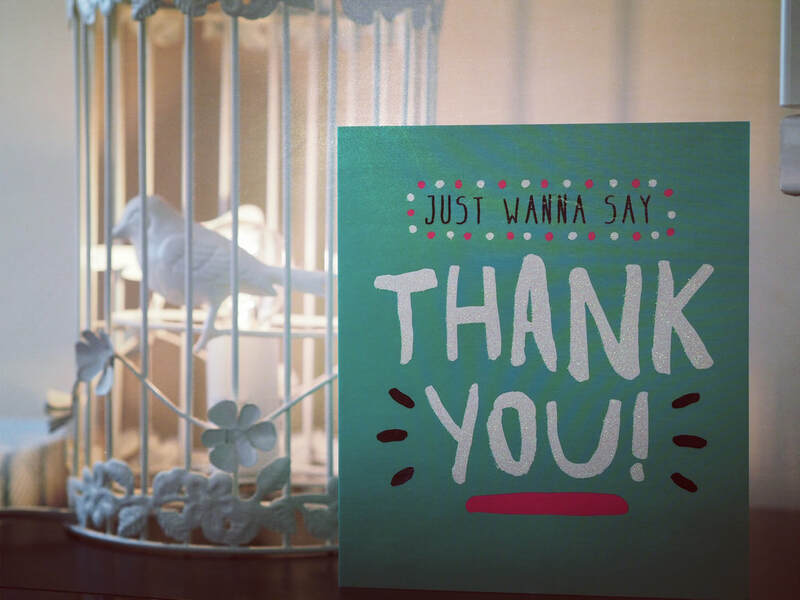 My life has taken on new form as a result of Holly's course, the five days gave me the confidence to take ownership of my newly chosen career. 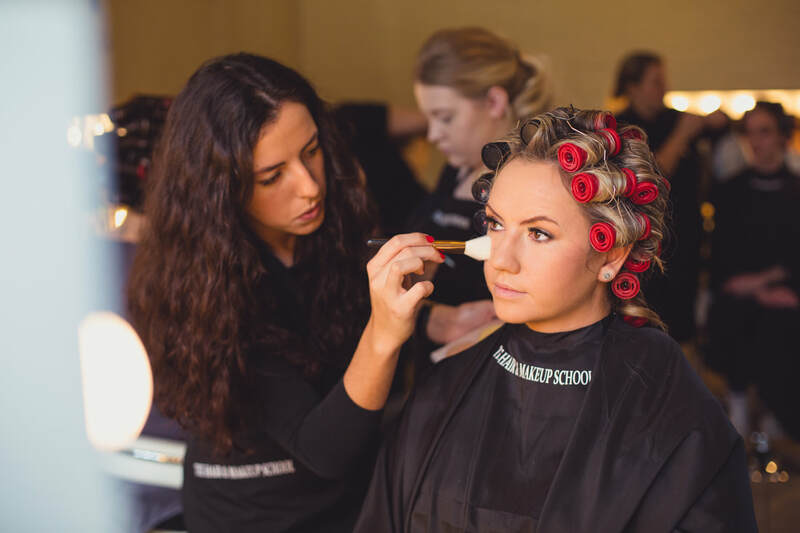 I was someone who didn't fully understand the importance of a primer or how to prepare hair for sophisticated styling. Holly is so professional, equipped and incredibly approachable. 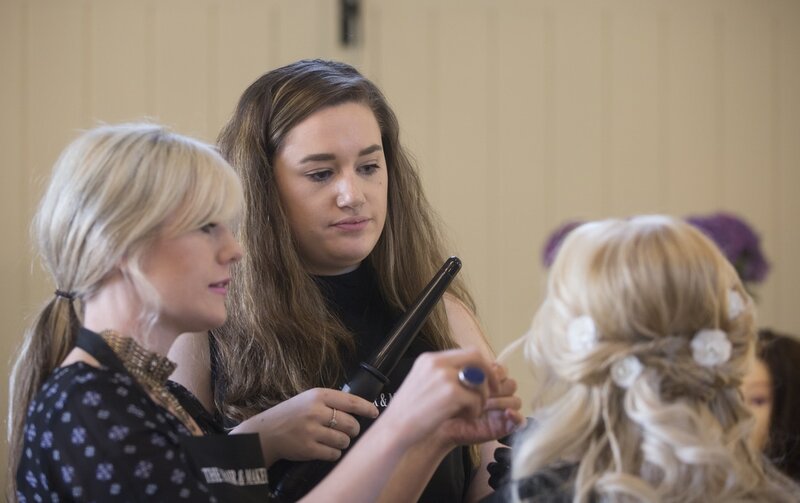 Having experienced and practised everyday a variety of methods and learned which tools can achieve which look, I finished the course with more than enough knowledge and know how ready to step out and continue my practice. It was drawn out clearly for us which action would achieve better results outside the course, Holly is so open and shares the secrets needed to achieve our own success. The pictures gained from the experience provides the most encouraging platform to build upon. I am very proud of my portfolio and can hardly believe that I am the one responsible for it. Thank you Holly. 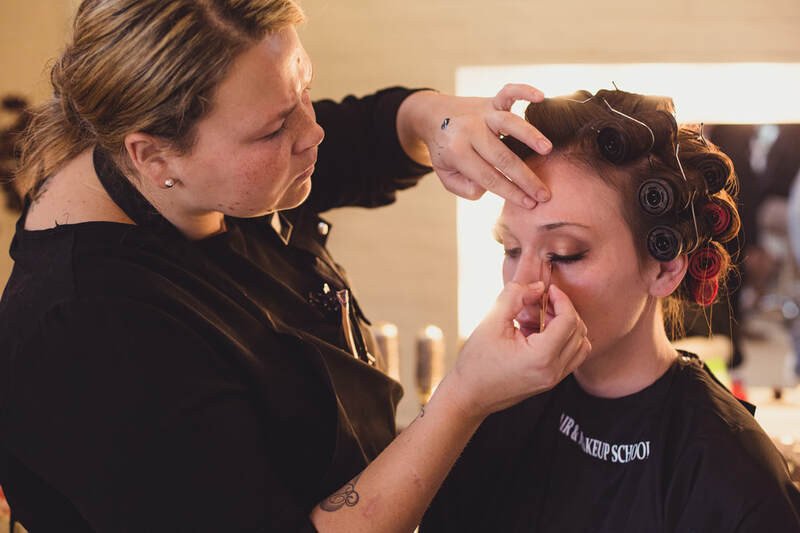 ​"I would highly recommend The Hair and Make up School. Holly has a wealth of knowledge and her passion and enthusiasm for her work comes across in her teaching. 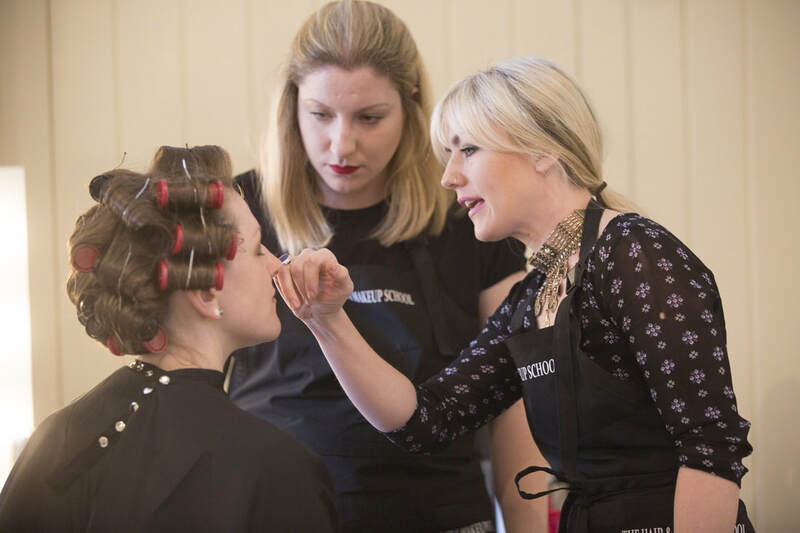 "I recently completed the 5 day intensive Hair and Makeup Course and it was a fantastic experience. 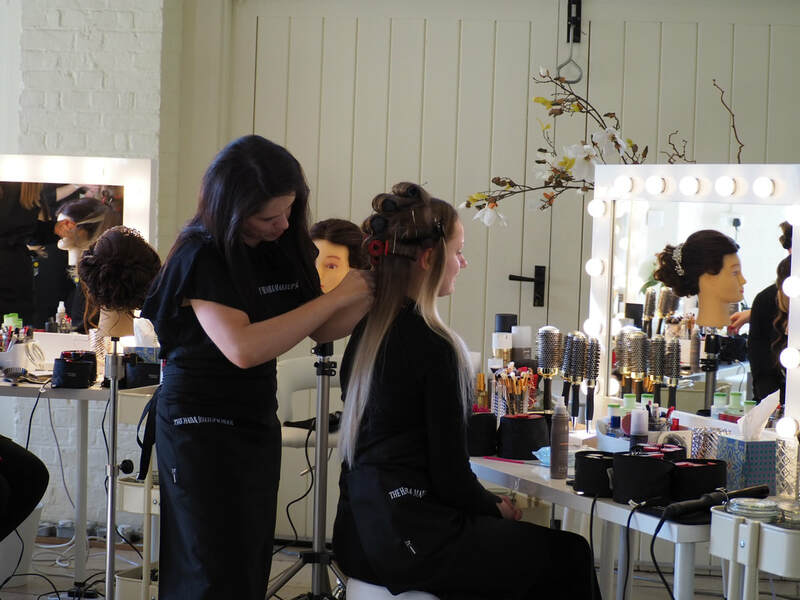 I had no experience in hair and makeup before the course but it was always something that I was interested in doing. I learnt so much during those 5 days and I learnt skills that I can now take away with me and start to build my new career. I progressed a lot in those 5 days and that is down to Holly's teaching. 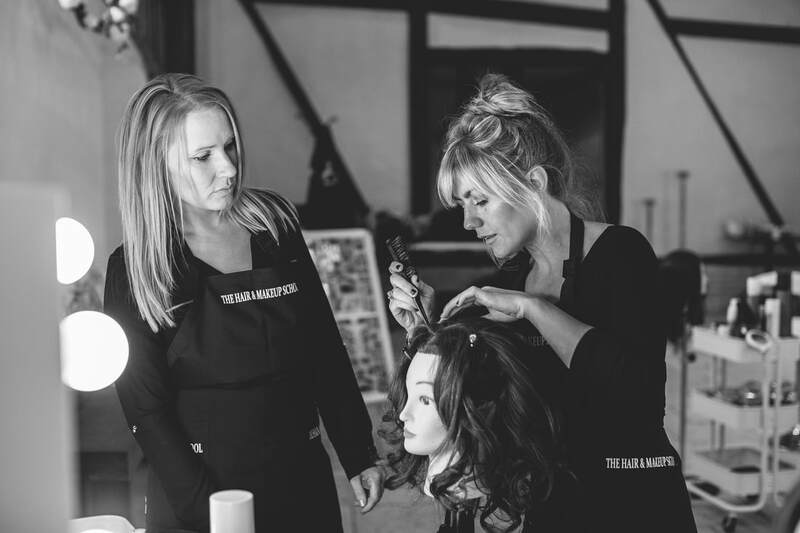 She is an excellent teacher and her passion for the industry shines through. She was always on hand for the students if we ever needed help and she went through it all step by step in a way that was easy to understand and learn. 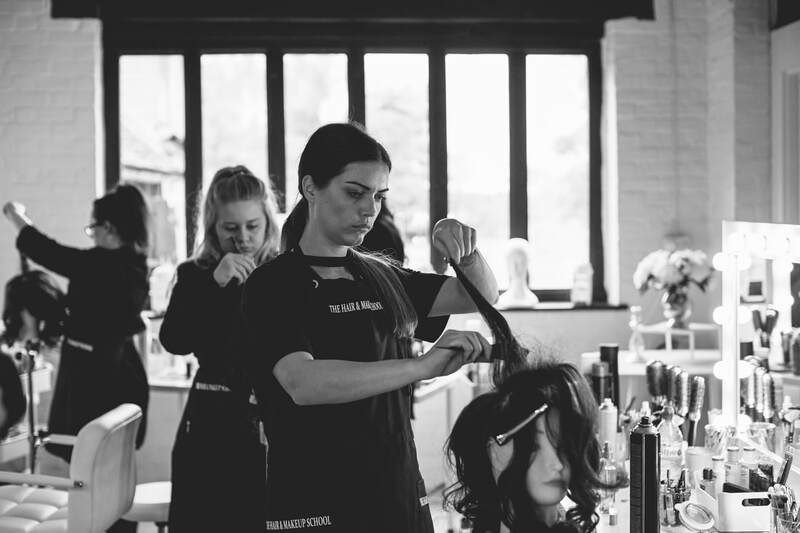 I highly recommend this course if you are considering in starting a career in this industry or if you want to improve on the skills you already have." "Wow what an amazing course, both for complete beginners like me and for those with experience. Holly is a fab teacher who understands how to cater for everyones needs and breaks down the course appropriately over the 5 days. 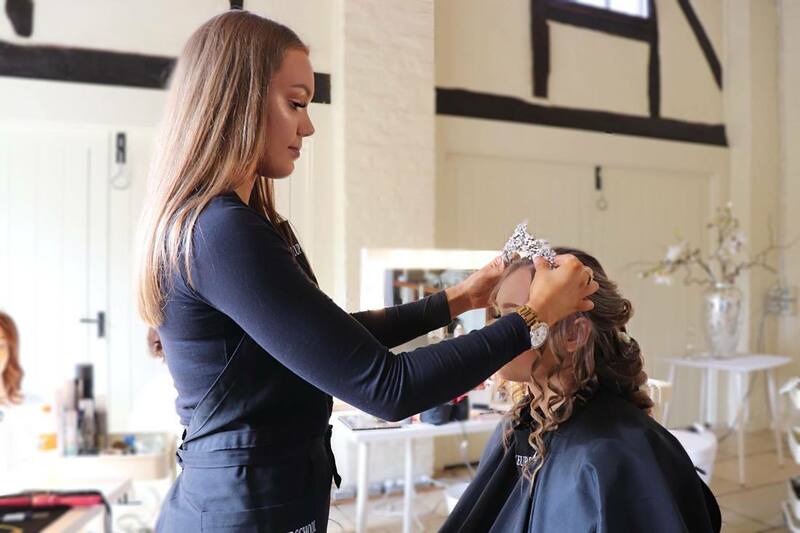 I have come away feeling confident in both bridal hair and make up and am excited to continue developing my skills. 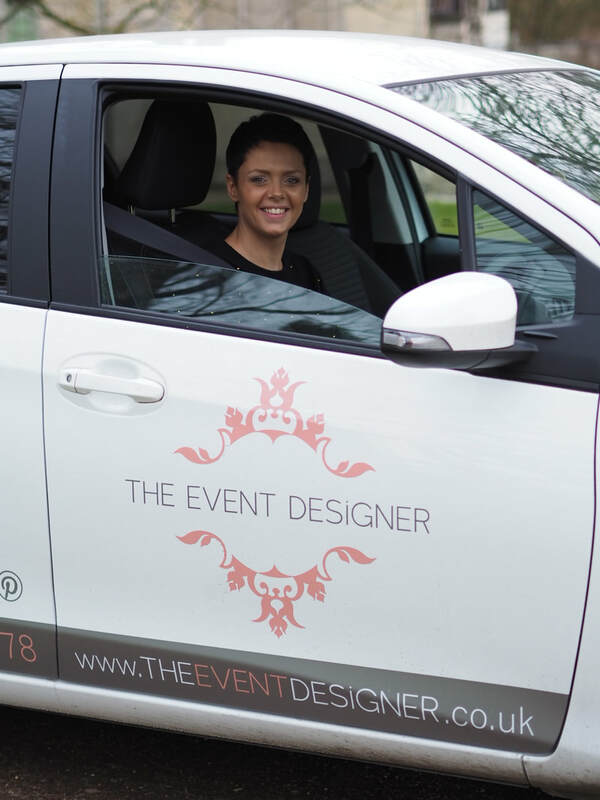 A really nice bonus/touch to the course is Hollys collaboration with other local bridal companies each day. From the beautiful flowers, to the stunning dresses and talented photographers. 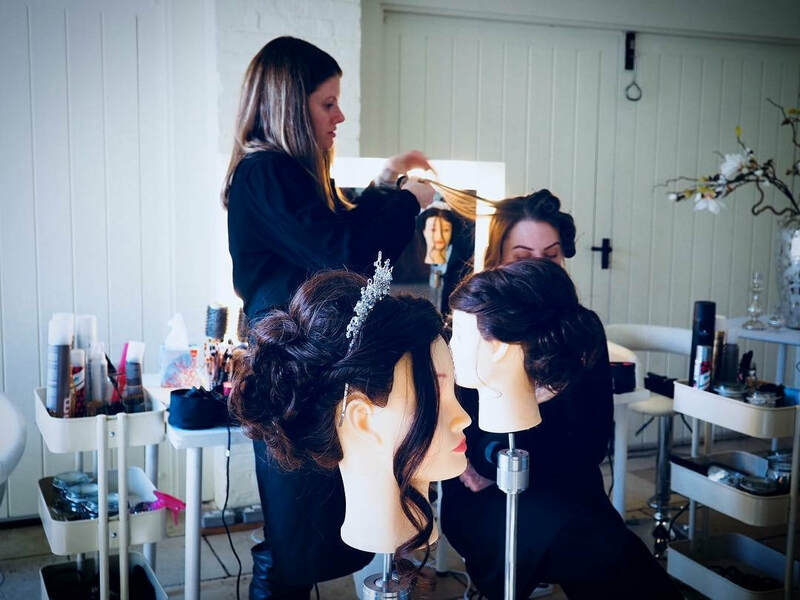 It adds far more to the course then just learning the skills but also for us to see our finished looks, creativity and visions come to life." ​"The course with holly was incredible. Dream come true to spend a week doing hair and makeup everyday. 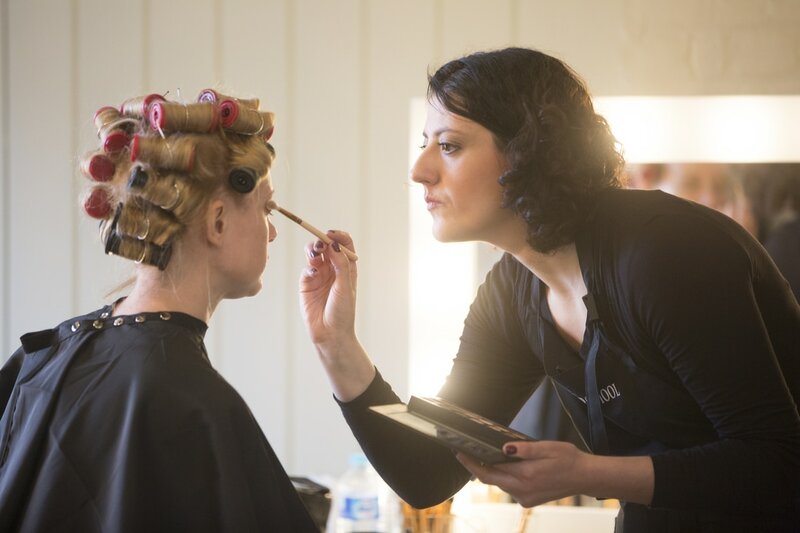 Holly is incredibly skilled and patient has taught me some real foundations to my career in hair and makeup. "Holly is just the most beautiful, fun, energetic, professional and loveliest person you can meet. 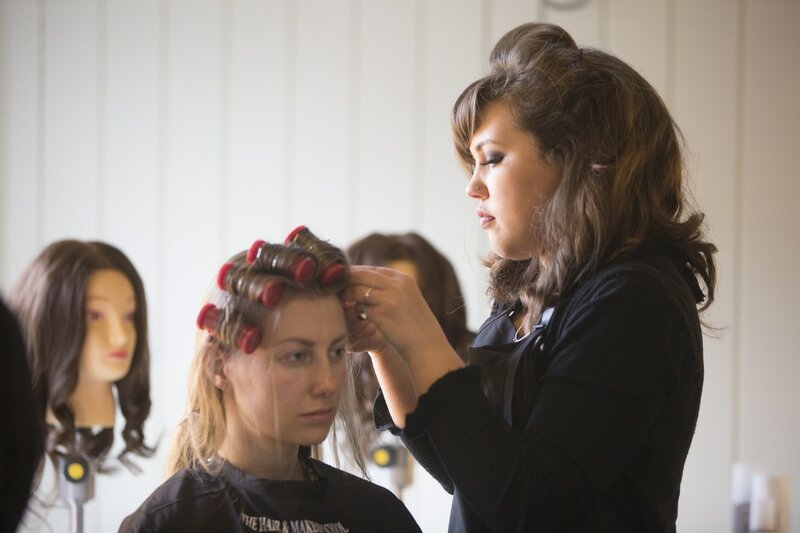 My daughter Kailey attended ‘The Hair and Makeup School’ just this week, to add hair to her portfolio of work. Kailey finished the week like a new person! She has a new found confidence which she lacked (though others on the outside looking in, never see) Kailey said “Holly has changed the whole way I look at life!” The course was amazing for Kailey, especially getting to work with a group of girls who are all passionate about the same thing! They all worked so hard together and cheered and appreciated each-others work! This is what it’s all about!! I was there all week popping in and out and it was just amazing to see how far they all come in such a short space! All down to Holly being an amazing teacher and friend to them! She really loves what she does, which is so clear to see. On the last day I was at the school Styling the shoot, for the students to use for their portfolio and they were just a dream! Enthusiastic and professional! Kailey has also found more love for Wedding Makeup then she ever had before, having used to focus more on glam and body art! She is now obsessed. 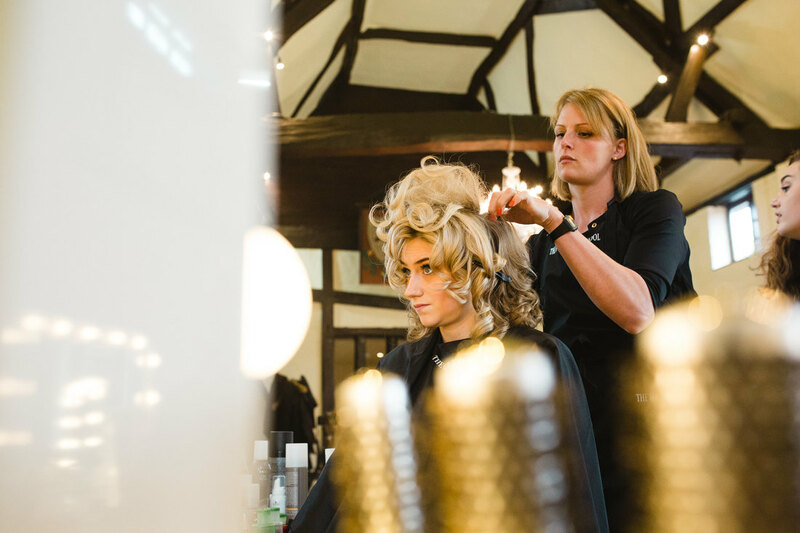 She has a unique style and the course showed her, that she is allowed to be different in the Wedding world. Be you and be proud! She started the week unsure if she’d be able to pull the Hair looks off, yet by shoot day she was so proud of herself, which she says she owes to Holly. I have never seen Kailey so happy and it’s really special to see! Thankyou Holly! We love you! "